New! ftwilliam.com’s Distribution Tracking Software (DTS), was built by retirement service providers for retirement service providers, to automate all tasks associated with preparing and tracking distributions. Our built-in accountability tools streamline communication, and data collection, making distribution preparation and tracking faster and more efficient. Real-time updates keep you and your client’s informed, so you know exactly where each distribution is, and can avoid costly VCP filings. 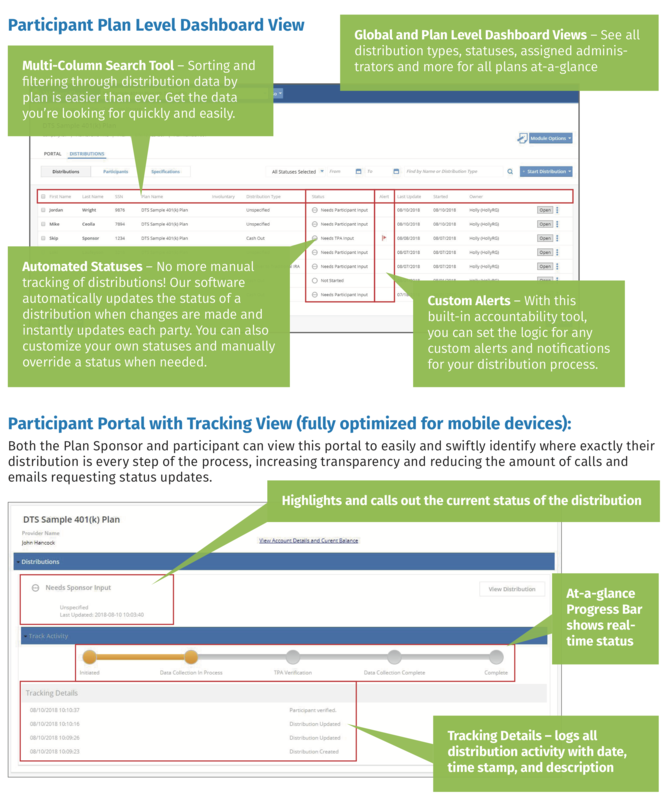 Portal Data Collection – Fully optimized for mobile devices, you can collect everything you need to process a distribution via the distribution portal. 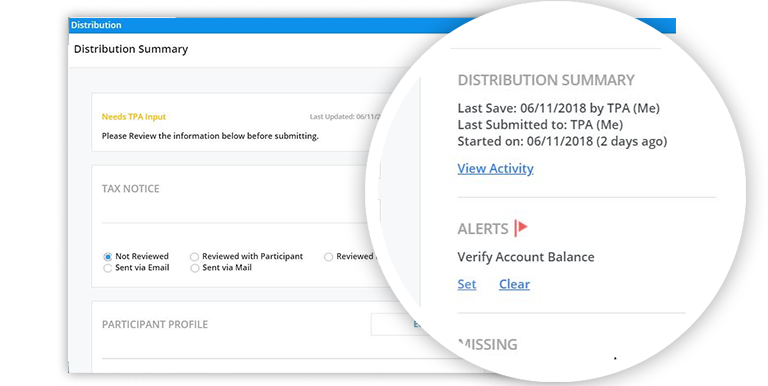 Quick View – Everything you need to know about a distribution can be seen at-a-glance in the distribution summary, including custom activity, all files received via the portal, and notes. Document Exchange – Send any documents via the portal for download and receive signed/completed forms and documents from plan sponsors and participants. Template Manager – Use our templates, create your own, and even download onto your company letterhead. Instantly create custom custodial directives, spousal consents, and more. Batch Features – Batch Import Distributions for force outs, plan termination, and conversion. Plus, batch print and attach custom documents to your distribution records.